I’m sure that many adult volunteers have said or thought something along these lines when asked to produce a photograph or an article for the Group/District/County newsletter, website, Facebook Page etc. On the one hand, of course, that is absolutely true but there is a bigger picture. We have an amazing product – Scouting truly changes the lives of young people and impacts communities. We should celebrate Scouting in all of its formats! Careful use of media allows us to achieve that celebration as well as to promote all that we do and facilitate other people joining the adventure. It is a plain, undeniable truth, that people prefer to join something that is successful. The role of the media team is to allow groups to showcase their success to the wider world using the whole range of media available. It makes it that little bit easier to ask for help and to get help when people know they are supporting something successful. Print media was the traditional safehaven for little Scouting articles but as the collection of local newspapers seems to shrink, we need to look at broader range of options. Websites, Facebook, Instagram, Twitter, print media, photography and video all have a role to play in reaching our target audience. The knack is to use the same information in a variety of formats. In Surrey, we use an email address that forwards to a several members of the media team who can all use the content in ways suited to their sphere of responsibility. One article and picture can make it to the website, onto social media feeds and into the county newsletter. Maximum use for one piece of work. We have two core audiences: internal and external. Our internal media is focused on informing other members of the county about successes and things they might wish to try out. It also allows for more private sharing of topics or events that are ‘just for us’. Our external media is aimed at sharing our successes with the widest audience possible. For example, at our last County Scout event – Scoutabout 2017 – the social media feeds were followed not just by parents and leaders but by the Scouts themselves, their grandparents and other family members. The usual good practice about not naming individuals etc applied, this became a tool for young people to share with their non-scouting friends the feel of the event they were attending. This allowed Scoutabout to have a huge reach and to promote adventure Scouting to thousands. At group or district level, you might not be trying to reach thousands but there will be lots of interested parties who might be willing to support you in various ways. It creates a buzz in the community of people share success to local social media groups. The local papers may well pick stories up too. Decent media allows us to change the image that people have of Scouting. The fact that people are still surprised to find that girls can be in Scouting and that we don’t all say dyb dyb dyb (that stopped in 1967!) suggests that we have not got our message out there and that there is a very clear role for media at a local, district and countywide level. Ultimately, Scout media allows us to celebrate about what our young people achieve and it allows us to share that good news with others. The more people know that Scouting is awesome, the more they will be prepared to join us either as young people or as leaders. 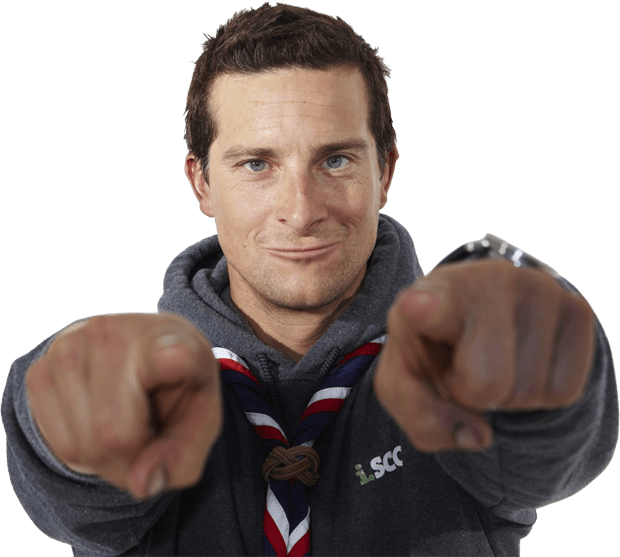 We know Scouting is an amazing thing – the world deserves to know too!